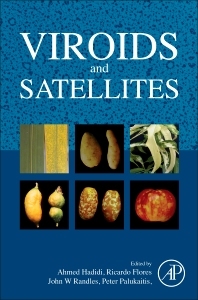 Viroids and Satellites describes plant diseases and their causal agents while also addressing the economic impact of these diseases. The book discusses various strategies for state-of-the-art methods for the detection and control of pathogens in their infected hosts and provides pivotal information from the discovery of viroids through the analysis of their molecular and biological properties, to viroid pathogenesis, host interactions, and RNA silencing pathways. Students, researchers and regulators will find this to be a comprehensive resource on the topics presented. Ahmed Hadidi is an internationally acclaimed plant virologist who has contributed significantly to molecular characterization and detection as well as biology of plant viruses and viroids for five decades. Ricardo Flores is a world-renowned expert on the topic of viroids and has been on the frontier of virology research. John W. Randles is an internationally acclaimed plant virologist and his key research interest is on the cause and characterization of viruses and viroids. He is the course coordinator for classical diagnostic methods as well as molecular and biochemical methods in plant health at the University of Adelaide. Peter Palukaitis is an internationally acclaimed researcher in the field of plant pathology. His key research area is the molecular mechanisms of plant-virus interactions, with particular reference to pathogenic and resistance responses.